For nearly five years, Mr. Carion devoted most of his time and energy to bring this amazing story, along with its uplifting message, to the big screen. Nominated for and winner of several international awards, the established craftsman has in the meantime finished his fourth feature, “En mai, fait ce qu’il te plaît,” which will be released later this year (US title: “Come What May”). 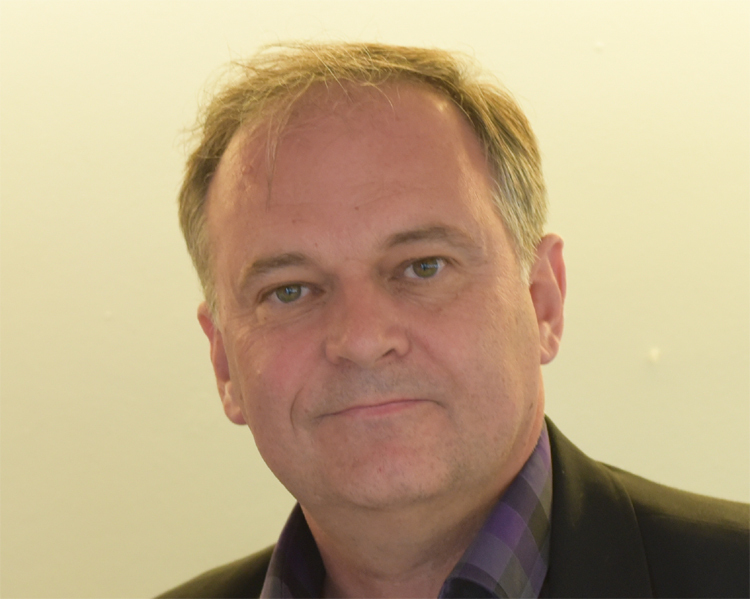 Born in 1963 in Cambrai, located in the northern French department Nord-Pas-de-Calais – le Nord – Mr. Carion comes from a department that has been very kind to film, since it also produced other notable directors such as Julien Duvivier, Louis Malle and Robert Enrico, and actors including Philippe Noiret, Dany Boon, Pierre Richard, Brigitte Fossey, Viviane Romance – and even going back all the way to the silent era with Renée Adorée who became a leading lady in Hollywood until she died prematurely in 1933 at age 35. Mr. Carion was in Belgium as the guest of honor and president of the jury at the 13th edition of the renowned Brussels Film Festival which is dedicated to European cinema. As a member of the jury, when you watch a movie at the Festival, do you look at it from a screenwriter’s point of view, as a filmmaker, or as a spectator? As a spectator. When I first enjoyed cinema, it was also as a spectator, and I still am. I always enter the cinema like any other spectator and I am able to enjoy a movie as much as you do. But when watching a movie, after a while, I see how the movie is made, how the director did his best to make his movie. There’s a Japanese director who once said, ‘I only watch bad movies, for two reasons: firstly – as a joke – I only make good movies so they’re no competition for me, and secondly, the most important reason, when you see a bad movie, it’s very interesting to find out why it is so bad.’ What exactly happened? What went wrong? Is it because of the writing? The directing of the actors? When it’s a good movie, I am just hypnotized by the movie and I don’t have the opportunity to see how it’s made, because I’m a spectator. So I really appreciate to see a movie that I like, preferably in a cinema among people that you don’t know, and not watching a movie at home on DVD. The reactions of the audience, when they’re laughing, crying, anything, they all have an impact on you, on the way you love or appreciate a movie. It’s a popular art and that’s why it’s so important to see it in a theater, better than seeing it in front of a TV set at home. All of your films are based on your own screenplays. Do you also have final cut? Yes, and I need it. I mean, it’s impossible for me to write and to shoot a film, and then to give everything to someone else who then would say, ‘I am now going to see what kind of movie you made…’ The whole process – the writing, the shooting, editing, etc. – to me, it’s one piece. Everything changes each time you progress, from the paper when you’re writing, the shooting and the editing, but at the end you should refind the original idea why you wanted to make that movie. The most important thing is for me to know why this movie was so important to shoot. It usually takes about three years of my life – the writing, the whole process – and since I am not twenty-one, I have to think about how much time and energy I want to invest into it. So when I decide to make a movie, it must be obvious to me the reason why I want to make it. Because, if it is not obvious, you will lose the first reason why you wanted to make that movie and spent three years of your life on it – and you lose the movie. So I always keep in my mind the reason why I wanted to make that movie and when it is finished, I have to check if it is true to my first and original idea or not. You only made three films so far, they are all very powerful and very well-made. But despite the fact that you only made three films, where do you get this authority to have your final cut? First of all, because of the tradition of the Nouvelle Vague and so on, ninety percent of the directors in France have final cut. Usually it is in the contract of each director to have his own final cut. But of course, if there is a big problem during the production, or things don’t work out as expected, a discussion with all the partners follows about how the editing should be done and the director might lose his final cut in the end. So the final cut can be very fragile, but when it works and when the things you proposed are all up there on the screen, there is no problem. So in France, they respect the final cut for the director, which is not the case in the US. There very few directors have final cut. Once you are assigned to make a film, do you also have a distribution deal? Yes, I work with a producer who finds co-producers and distributors. A distributor to show the movie to your audience, that’s a most important deal and a most important partner. I really can’t shoot a movie without having a distributor, for me it would be very difficult and too late. Is it correct to say that “Joyeux Noël” opened many doors for you? That’s right. Because of the success of my first movie, “Une hirondelle a fait le printemps” (2001), I was allowed to make almost anything [the film ranked at # 20 in the French box-office of 2001, awards included the César as Best Actress for Mathilde Seigner, and Mr. Carion won the John Schlesinger Award at the 2003 Palm Springs International Film Festival]. Since the character of Michel Serrault had not died in the film, they suggested me to make “Une hirondelle a fait le printemps 2”, but I would never do things like that. And then, when I came up with the idea of “Joyeux Noël”, everybody said, ‘Well, you know, it’s about the first World War, three languages, pfff… Don’t you have something else?’ It was a big fight, you know. The French army didn’t like it, we were not allowed to shoot in France and we had to go to Romania, and so on. Despite the success of my first movie, the production of “Joyeux Noël” was a nightmare, believe me. But fortunately it became a huge success, we were able to go to Hollywood for the Oscars [in the best foreign-language category, the film was nominated for an Academy Award, Golden Globe and BAFTA, it also earned six César nominations and numerous other nominations and awards]. So in the end, everybody was happy about “Joyeux Noël” and I remember that I said to some people, ‘You remember when you didn’t want me to make that film at first?’ ‘Oh no, I don’t remember.’ (Laughs). But that’s the business, everything worked out just fine [the film also ranked at # 20 in the French box-office of 2005]. 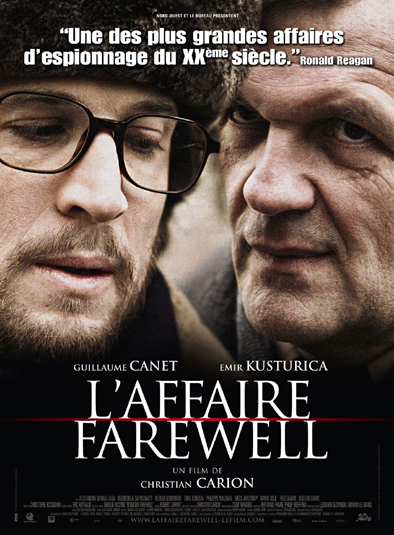 After that, it was really easy to make “L’affaire Farewell” . 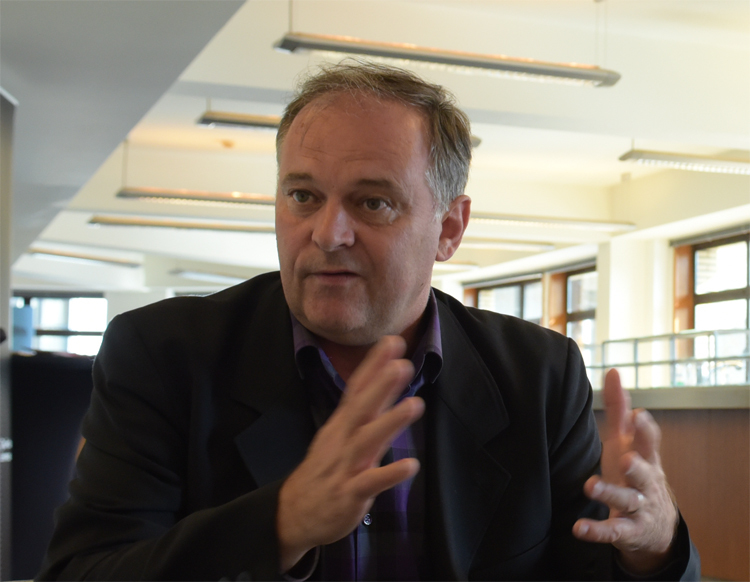 You also have the tendency to work with the same people more than once, such as cinematographer Walther van den Ende. Is the cinematographer the most important person to you when you’re shooting a film? He’s terribly important, but you also have the art director, costume designer – in “Joyeux Noël” for example, I needed to believe what I saw, but I didn’t want to see too much. Sometimes in historical movies, you can see that everything is too perfect, the clothing is too perfect and that’s too much for me. It is as if the movie has become a commercial for clothes. That’s not what I want: first, I need to feel the story and the characters. And of course they wear clothes of that particular era, but as a film director you need to focus on the story and the characters. And the director of cinematography is terribly important. What I love about making movies, is that it is a collective art: you are not the only one on the set, but your job is to make sure that everybody is at his best when you’re shooting a scene. The director is the only one who really knows the movie because it’s his project, and he has to tell the cast and the crew every day what he wants, he has to feed them so they can suggest new things or come up with new or different ideas. This job to maintain everybody in the same direction, is exhausting, but it’s the only way for me to keep working in the right direction during the making of the movie. When you write a screenplay, do you already have actors in your mind for certain roles? No. Although now, with my experience, I start to think about actors earlier than before. When I started writing “Une hirondelle a fait le printemps”, I just started writing, I didn’t know anyone. 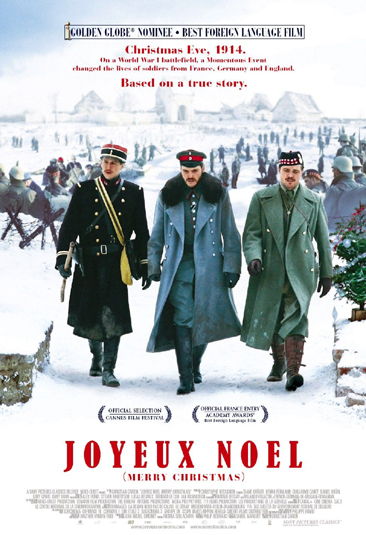 Even for “Joyeux Noël”, I didn’t know the German actors, I knew Gary Lewis, and Guillaume Canet was not my first choice. But now, when I watch the movie, the casting of the German, French and British actors we had in the movie, is perfect for me. With “Joyeux Noël” you also put a lot of very good young actors on the map: you also had cast Diane Kruger and Dany Boon – fresh, new and talented actors who since then became very popular actors. That’s because they are so very good. They perfectly understood why I wanted to make the movie. They really collaborated and they gave me very much. What’s your favorite place to write a screenplay, and why? Not at home, because there I am too much surrounded with things of my real life, I prefer to be in a place away from my common life. I like to write when I’m on the train. A good friend of mine is a writer too, and he takes the high-speed train from Paris to Biarritz and back, spending a whole day on the train just to write. It’s not a free office, because he has to buy his train ticket, but he is moving and his window is like a screen, a scope, and he sees the people around him, walking and talking, and he’s in the middle of a life, and it’s like if he takes the energy from the speed of the train to write. I don’t do that, but when I have to take the train, I know that I will be writing, and when I write, I am very concentrated. Earlier you mentioned the Nouvelle Vague. Have those filmmakers, like François Truffaut or Claude Chabrol, influenced you in any way? Or are there other filmmakers or film genres that inspired you in your formative years? I learned about movies by watching movies and Hitchcock taught me the grammar of making movies. You can find the whole grammar of cinema in Hitchcock movies. Just by watching his films, you can learn all about filmmaking, everything is there. And François Truffaut wrote the best book ever written about cinema, ‘Truffaut Hitchcock’. I read this book twenty times maybe, it’s all in there. The other director for me, is John Ford – maybe because my Father was a farmer, I don’t know. The humor in a John Ford movie, is humanity. “The Man Who Shot Liberty Valance”  for instance, that’s a masterpiece. For me, it all began with these two directors, and then I discovered the other directors, the French Nouvelle Vague and so on. I’m not a big fan of everything the Nouvelle Vague did, but I know that in our cinema history in France, it was a big revolution. They destroyed an old way of making movies. They didn’t have the authorization to shoot in the studios, also they didn’t have any money to do so, so they decided to shoot outdoors and they had to invent something new to make movies. They knew the work of Rossellini, Buñuel or Jean Renoir, they were film critics themselves and had watched a lot of movies and when they started making their own movies, they changed everything. So I am a child of my time, like many directors of today. They are sort of grandfathers for us. Before Orson Welles made his first film “Citizen Kane” , his director of photography Gregg Toland [who had shot Ford’s “The Grapes of Wrath” and “The Long Voyage Home”, both 1940] said to him, ‘You should watch every John Ford movie first, and then you come back to talk to me.’ That was the first lesson in cinema for Orson Welles, and it’s funny when you watch an Orson Welles movie: there’s a lot of John Ford in it, in the way he’s telling his story – talking to the audience. Which is most crucial to you to tell your story: writing your screenplay, or when you’re shooting the movie? Both. If I’m not convinced by the paper, there is no way to shoot anything. That’s also why the writing process is difficult. Woody Allen once said that a movie always needs to grow from the lowest to the highest level and you have to grow up equally with the movie. And that is very true: you start with the desire to make a movie and you write the screenplay. By then, you’ve reached a certain level. You then start casting the actors, looking for locations and so on, that’s the next level. You start shooting, again another level. If you understand and see correctly how it’s changing, then you can expect to be in control of the movie. But sometimes things can change so quickly that you might lose the direction, and that’s a big disaster. Where or how do you get your inspiration to make a film? For example, with “Joyeux Noël”, I discovered just by chance that during the first Christmas in the first World War, some soldiers made the truce. I had never heard about this in France. I know it is very well-known here in Belgium and in Great Britain, but not in France, they learn about it here at school. So I was shocked. I decided the check the facts and worked with a historian who showed me letters of soldiers and so on. Then Jean-Claude Carrière told me, ‘You know, you have nothing. You only got this big event when the soldiers are coming out of the trenches to shake hands and show pictures of their wives and children to enemy soldiers, but where is your story? You have to find something to build up to this great moment. And earlier in the story, what are you talking about? Who are your characters?’ So I had to find everything about the British, French and German soldiers, and, of course, there was the Christmas Truce which was this great moment, but that was not the movie. The movie is the story that you will tell. It’s a lot of work to find out what happened before and also, of course, afterwards. 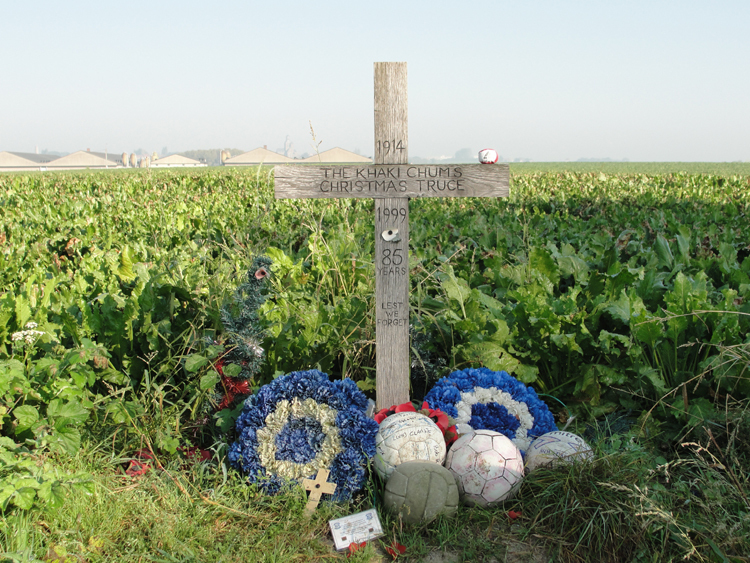 It took me several years to create everything around the Christmas Truce. So the start was a book about the Christmas Truce. “L’Affaire Farewell” was also a book, about the Swiss spy. I always look for a subject that interests me and then I have to find the best story to talk about the subject. What about your upcoming film, “En mai, fait ce qu’il te plaît” about the German invasion in May 1940, have you already finished shooting and editing the film? We finished the editing and the post-production, we are working on the poster now. The film will be released in France early November, the avant-première will be in Paris in October. The movie focuses on the big exodus in May 1940, when eight million people were on the road, all from the north of France and the Benelux countries [Belgium, the Netherlands, Luxembourg]. It is like a Western, a John Ford movie, with horses, chariots, open space, the sky, and the people under the big sky. Ennio Morricone did the score of the movie, and working with him was the very beginning of everything. “Once Upon a Time in the West”  was always on my mind and working with Morricone gave me the energy to make that kind of movie. Posted in Director-screenwriter, Film Talk and tagged Academy Award, Alfred Hitchcock, BAFTA, Brigitte Fossey, Brussels Film Festival, César, Christian Carion, Citizen Kane, Claude Chabrol, Come What May, Dany Boon, Diane Kruger, En mai fait ce qu'il te plaît, François Truffaut, Gary Lewis, Golden Globe, Gregg Toland, Guillaume Canet, Jean Renoir, Jean-Claude Carrière, John Ford, Joyeux Noël, Julien Duvivier, L'affaire Farewell, Louis Malle, Luis Buñuel, Mathilde Seigner, Michel Serrault, Nouvelle Vague, Orson Welles, Philippe Noiret, Pierre Richard, Renée Adorée, Robert Enrico, Roberto Rossellini, Roger Ebert, The Grapes of Wrath, The Long Voyage Home, The Man Who Shot Liberty Valance, Une hirondelle a fait le printemps, Viviane Romance, Woody Allen. Bookmark the permalink.